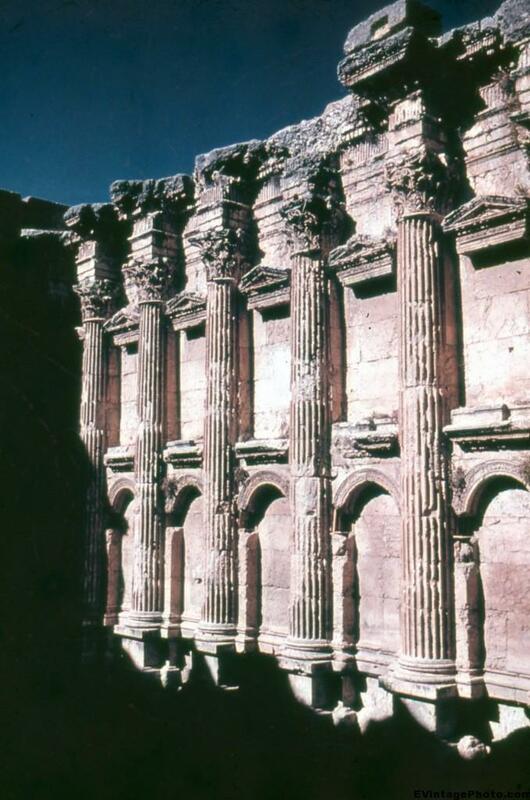 The Temple of Bacchus is one of the three temples at Baalbek Ruins in what is now Syria. While this temple is larger then Greece’s Parthenon it is much less well known. This is despite the fact that it’s one of the best preserved Romans temples in the world. Baachus was the Roman God of wine and intoxication. In Greek mythology, he was Dionysus. This temple was built after the Bacchanalia, orgies in honor of Baachus/Dionysus, were outlawed by the Roman senate in 186CE. In this picture we see a closeup of the unfluted Corinthian columns, a typical design on Roman temples. The temple was made a World Heritage Site in 1984.